Located on the southeastern part of the island, Panwa beach is one of the most remote and most overlooked beaches of Phuket. It is basically only dominated by the Crowne Plaza Phuket Panwa Beach Hotel, with a few private bungalows on the sides. Its remoteness comes with both pros and cons. On the one hand, you have the whole beach to yourself, without any of the chartered crowds. On the other hand, you miss out on the amenities and activities like banana boats or sea scooters. You can rent canoes from the hotel and there is a small hut by the beach you can rent gear from, but in general, options are limited. For me, it worked out well, because this was meant to be a relaxation trip, not an activities-filled one. One thing to note: many people complain about how the sea is muddy at Panwa Beach. The tide comes in at around 10am and I was able to swim until 3pm. The sea is indeed very shallow for a very long distance, but this didn’t bother me at all. The Crowne Plaza Phuket Panwa Beach Hotel is stretched along the centre of the beach. This gives many rooms a nice sea-view not afforded by many hotels on the island. There are two pools, both with ample deck chairs, low tables and poolside bars. I stayed mainly at my side of the pool though, because it is quieter and closer to our room. One place where we loved to chill out is the panoramic open air lounge at the Crowne Plaza Phuket Panwa Beach. 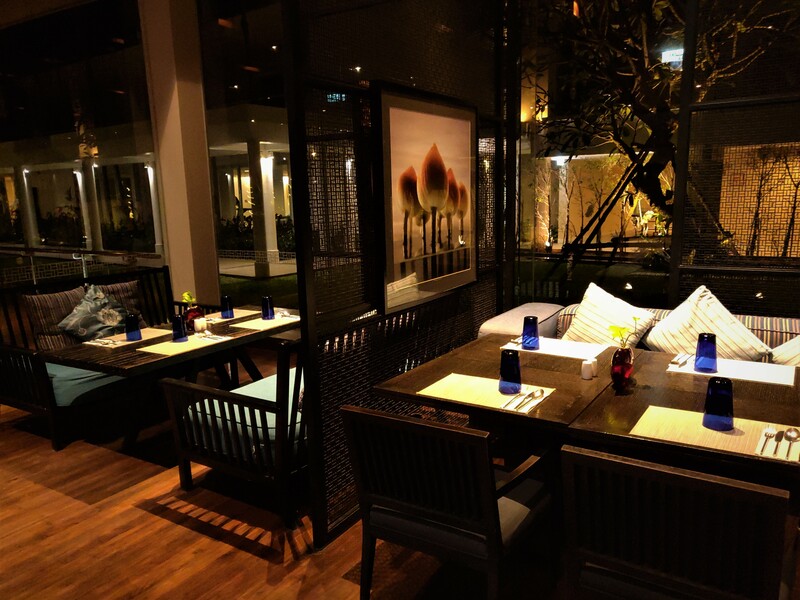 Located above the beach and restaurant, it is a quiet place to watch the stars, enjoy the cool night air, while sipping your Mai Thai. If it is peace and quiet you seek, then this is definitely somewhere you can regain your positive energy. Another reason why I hadn’t been fond of Phuket was the food. The local cuisine is quite different from mainstream Thai cuisine. The first migrants here were of Malay stock and you can still see them around the Panwa Beach area. Then there were people of Peranankan Chinese origin, who brought their food culture here, which is not dissimilar to that of Penang nearby (across the sea in Malaysia). Then you have the Thais who migrated here after the island became part of Sukhothai in the thirteenth century. So the mainstream Thai dishes are acquired rather than indigenous to the island. That being said, you do not have to worry about that at the Crowne Plaza Phuket Panwa Beach Hotel. First off, the breakfast buffet is more than gorgeous. 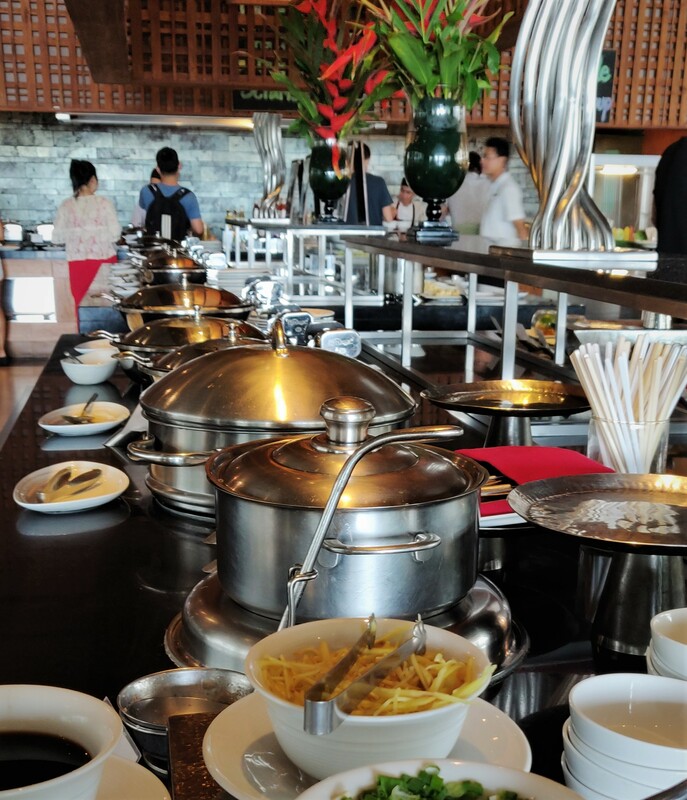 You have an international spread with three cooking stations, you are spoilt with choices. I usually go for things which I cannot have in Europe: Thai noodles soup, and I went for that everyday, at least once. 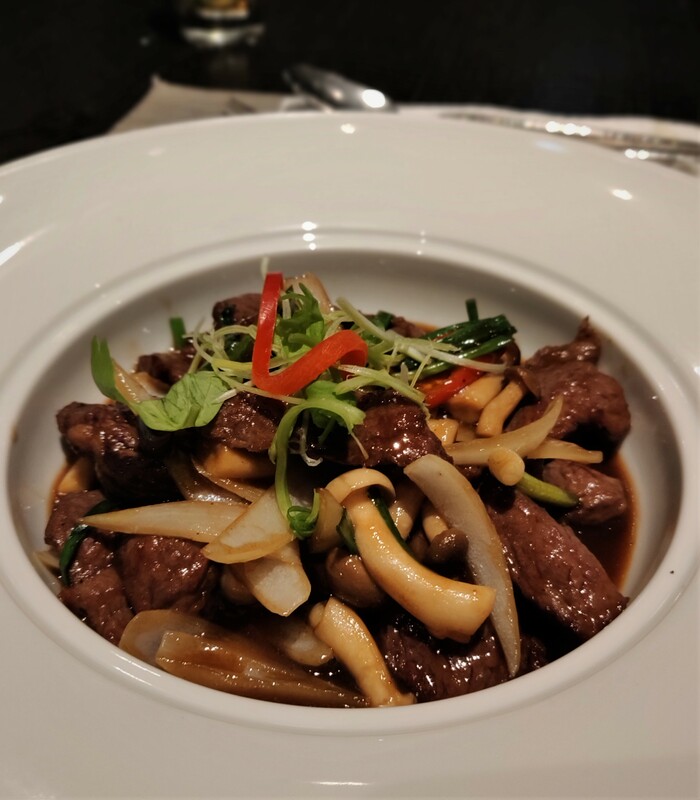 The restaurant serves lunch and dinner, and oh my, the Thai cuisine here is so good! According to their website, their chefs are “masters of traditional Royal Thai cuisine“. 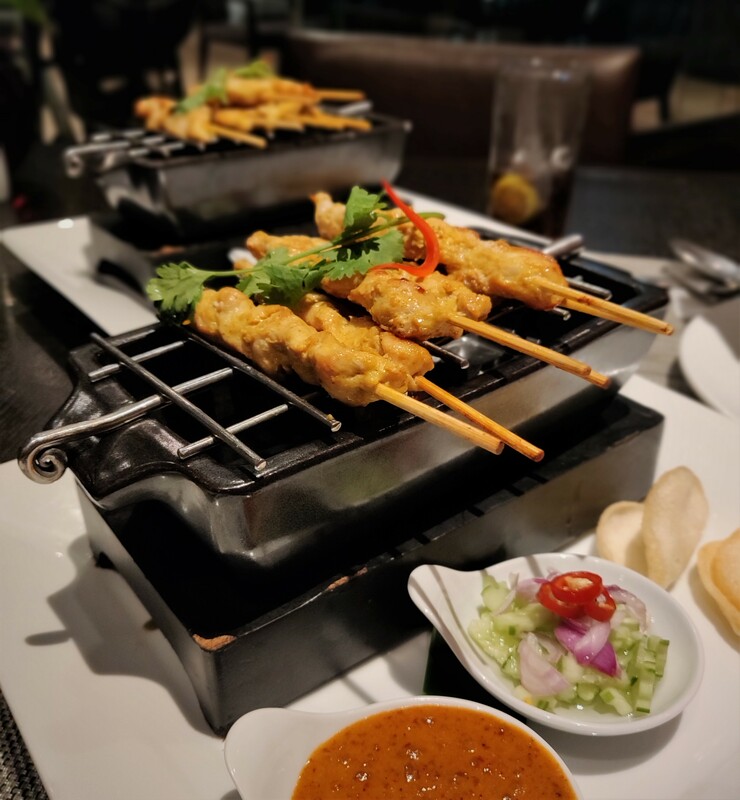 We had very good Thai satays, with a very balanced peanut sauce. 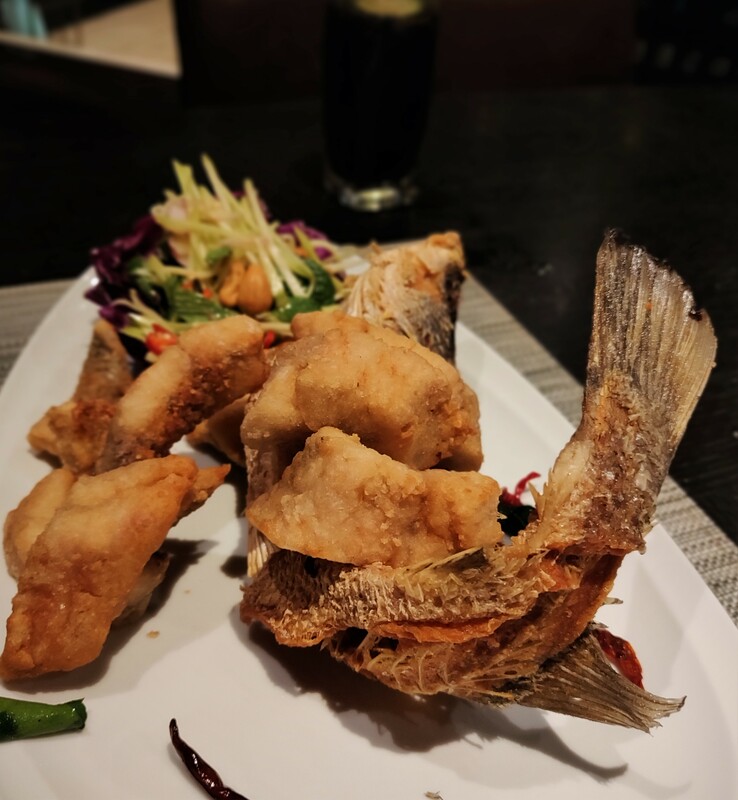 The deep-fried sea-bass, a traditional Thai dish, was so delicate – I believe this was the best version of it that I have tasted. 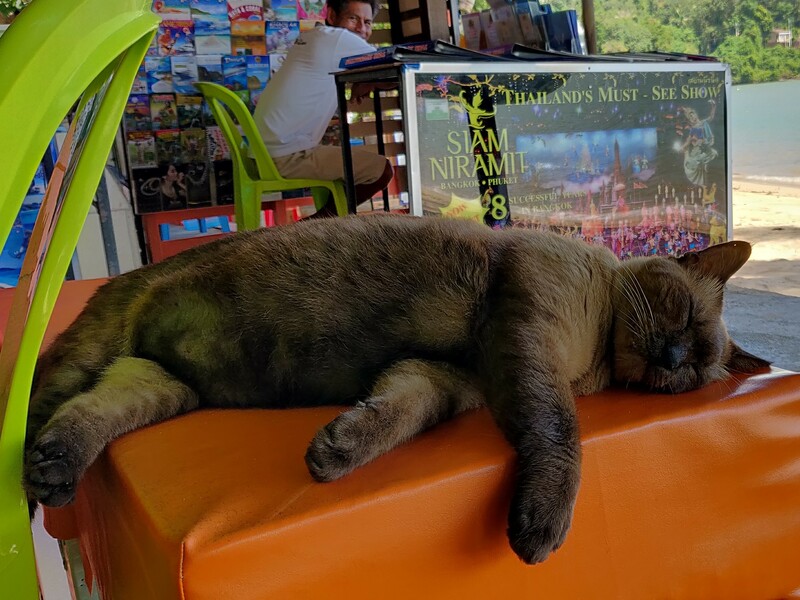 There are two roadside restaurants outside the hotel, in case you want to venture out, but the standards are low as expected of normal Phuket fare while the prices are surprisingly the same. The hotel restaurant’s menu is diverse enough for you to eat there every meal for a week. There are also a café by the main entrance which serves delicious cakes and different varieties of iced coffee. We were greeted very warmly by the check-in manager, who was this well-spoken Thai man in his twenties. He offered us a refreshment while waiting to have our check-in done, as we came in late in the night and were rather exhausted. He then walked us to our room, and gave us a tour of the amenities in the room. The breakfast staff offered very good service. We were always greeted with a smile, good morning, and an offer to find us a table. I heard that this is not often the case in Phuket as service staff is often jaded after being confronted with rude chartered crowds. We are glad that the service at Crowne Plaza Phuket Panwa Beach Hotel is of a higher standard. Room service however might be on the slower side. Our room is often cleaned only in the mid-afternoon when we might want to return to the room for a nap or a read. And the coffee and minibar stock is also not consistently replenished every time. Perhaps something to note for the management. Flights to Phuket are in full abundance, which was the reason for us to try out the Crowne Plaza Phuket Panwa Beach. 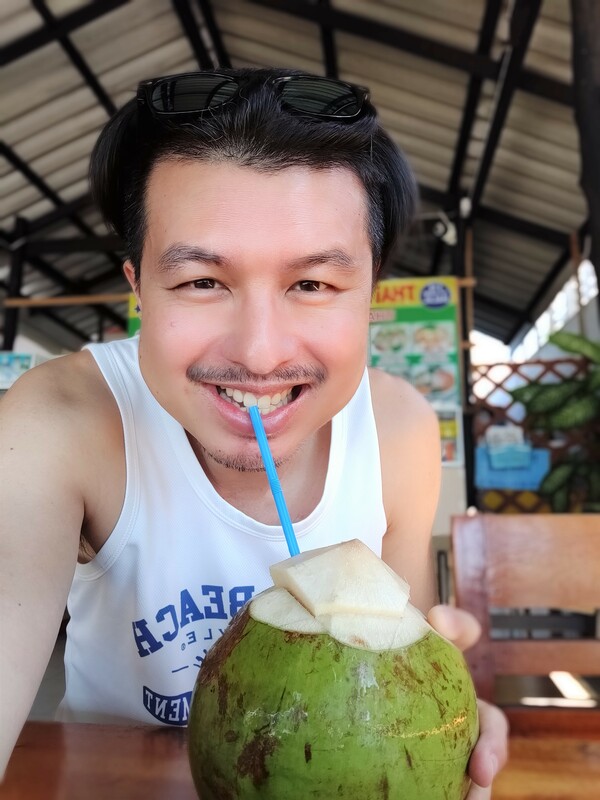 The travel on the island itself however may not be comparable to other parts of Thailand. There are no tuk-tuks for those cheap short distance travel. I suggest that you download and use the Grab app. It is the Southeast Asian version of Uber that offers other transport services. 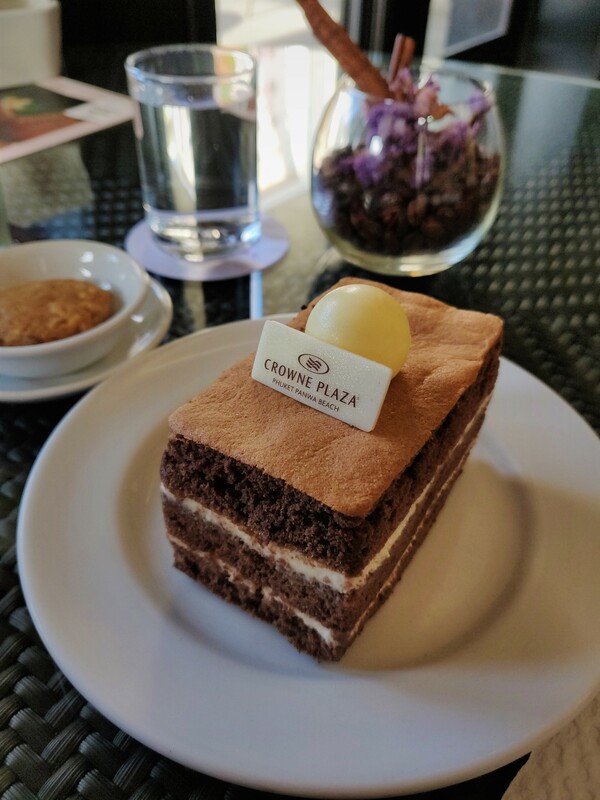 A trip from the airport to the Crowne Plaza Phuket Panwa Beach cost around 1000 baht. There is a special waiting point at the airport near the parking area, so be sure to go there directly as Grab drivers cannot pick you up in the airport or at the taxi queue. Should you wish to travel to another town, the Crowne Plaza Phuket Panwa Beach offers pickup and dropoff services at specific timings. But you can also use Grab for that, so you have more flexibility. Prices however are at Phuket level: from Panwa to Phuket town will set you back 1000 baht per trip, as prices set by drivers are not according to distance but by popularity of your destination. Another reason to just chillax in your hotel. Another reason for using Grab: when you reserve your trip in advance you pay less. Our trip to the airport cost 900 baht.